Casual Games: the time wasters, browser driven and mobile apps that we have all come to know are taking the word ‘game’ to more people than ever. Casual games often refer to games that require small amounts of commitment in finances, time, and skill level and are immediate to the user. Casual games are a strong part of the gaming culture, they create opportunity for independent creatives, and have the ability to reach a larger demographic than the more involved titles. In 1972, Pong introduced a whole new pastime to the world. Simplistic in concept and design, the game was addictive fun and accessible. Soon after we had Pac-Man, Donkey Kong and Frogger, all games that cater to the basic desire to be able to pick up a game an understand your directive. In 1986 Tetris was developed for the IBM (accessed through DOS) and was made more popular by it’s inclusion in the, now widely referred to, Gameboy bundle. In the mid to late 90’s browser based casual games exploded and big software gurus such as MSN, AOL, and RN were quick on the trend. The popularity of casual games opens the door for indie creators to use readily available software such as flash to create games, gain experience and possibly open up concepts to be developed further. With the success stories of independent games such as Castle Crashers it would seem that anyone with the skill, determination and time can create a playable game and make it available to the world at any time. The quality of games created with such haste, and often by self-educated creators, can often be called into question. Is the quantity of these casual games eliminating quality from the market? Casual games, whether notable or not, are so widely available that nearly every person in North America, dare I project The World!, has or is playing one. Web browser games have reached the cubicle world and the home computer, allowing the office worker the opportunity to fill up the last half hour of the day without becoming too productive and the stay at home mom the opportunity to fill in some mom time during Jr.’s nap. Apps have become available for the mobile person(s) who may or may not spend a portion of their time commuting or just making an earnest attempt to appear hip and trendy, while Nintendo closed in on a large area of the market with their Wii console; which is marketed highly as a social activity, modern society’s answer to family game night. 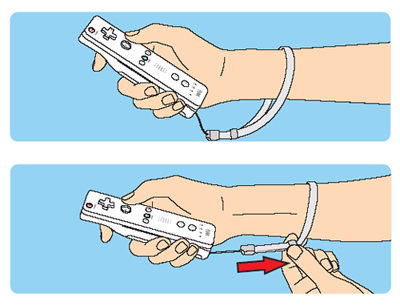 The Wii appeals to the part of the demographic that plays games with family and friends in social settings on a Friday or Saturday night, and let the system collect dust the other 5 days of the week. Of course all the while, casual games have never left the console world, finding puzzle games and card games a great way to connect members online in multiplayer options. Even Uno has had a resurgence in an online capacity. Having the ability to reach nearly every person, opening doors for would be game designers and developers, and holding on to a long history in video game culture, casual games can be held responsible for encouraging the popularity of the old-fashioned arcade, the new and current generation arcade (the one in our living room) and the global arcade as is found on the internet. The ability to pick up a casual game for free, or nearly free, understand the rules and reach success without investing time or skill, are some of the reasons that casual gaming will be a consistent presence in the world of video games.